It seems strange how WordPress remains silent and calm with the recent news that Tumblr is catching up with them. Tumblr, presently ranked as the 3rd most popular blogging platform and the 34th most-visited website in the United States, has just passed the 18-million blog user’s indicator, which many experts consider exceptional, as the company went through different marketing struggles over past months. As of this writing, Tumblr has 18,108,992 total blogs, and is quickly catching up with WordPress with 19,738,787 total users. This is extremely phenomenal, considering that Tumblr only had 16 million total blog users in April. Despite Tumblr’s limitations, people still choose Tumblr because of its simplicity and user-friendly attributes that allow regular and non-techie users to express themselves in a very easy and professional way. Up to this point, Tumblr has nothing new to offer, and its features are just the same as any existing platforms on the Web. Tumblr’s one-video-on- image-per-post policy has not changed as of the moment, but it seems like it does not annoy its users. 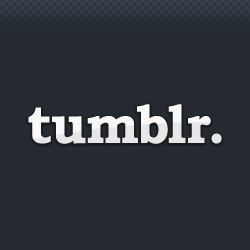 People love Tumblr because of its plain simplicity, accessibility, and usability. Even Telegraph.co.uk’s coined “tumbleblogging” appears to be solely associated to Tumblr, even though the term generally refers to the process of blogging. In January 2009, Tumblr was also named as President Barack Obama’s Top 5 Tech tools, alongside the names of social media giants YouTube and Twitter. Although we can’t blatantly say that Tumblr is a 100% original idea, people believe that it has pioneered and introduced “simple blogging” to the blogging world. They had put an end to fancy, artsy-farsty-erudite, and for-techy-only blogging, through its user-friendly features that allow regular people to own a personal space on the Web even in the absence of deep HTML and CSS knowledge. LiveJournal, TypePad, Posterous, and even their tightest rival WordPress have already mimicked their simplified blogging features several months ago. It only goes to show how Tumblr have successfully dominated their competitors in both marketing and creative matters. Tumblr has not really experienced being under that underdog status; it even quickly gained 75,000 bloggers when David Karp founded it in 2007. Tumblr has that “blogging super status” ever since its inception, a moniker that sent marketing alarm to blogging leaders Blogger and WordPress. What’s more surprising is having Tumblr’s expansion also hit wider audiences including the United States Government. Just recently, the Federal Government announced that they are now on Tumblr, with the General Services Administration launching its USA.gov blog on the popular blogging and social networking platform.